Both of the main charges against Manafort and Gates might well be groundless. On Friday, Special Counsel Robert Mueller obtained an indictment of two people connected to President Trump. A grand jury indicted former Trump campaign manager Paul Manafort and his business partner Rick Gates. The main charges were money laundering and tax evasion. The pair made tens of millions of dollars lobbying for a political party in Ukraine. The special counsel was tasked to look into ties between the Trump campaign and Russia. Strangely, it delved into Manafort’s business deals. The indictments aren’t related to the Trump campaign. The 31-page indictment never even mentions Trump. It covers actions prior to the 2016 campaign. The indictment alleges the pair illegally funneled millions of dollars of payments into offshore bank accounts. It accuses them of doing this in order to avoid notice. Manafort and Gates never registered with the DOJ as foreign agents. The law requires this. Can We Trust the Prosecutor? Can we be sure that Manafort and Gates really did commit crimes, just because a special prosecutor said they did? No. There are so many vague laws today that the average American violates a bunch of them every day. It’s easy for the government to “find” felonies committed by people it doesn’t like. Prosecutors have used vague, general laws to take down prominent Republicans. They include Joe Arpaio, Rick Perry, Tom DeLay, Bob McDonnell and Ted Stevens. The men fought the charges. The legal system ultimately exonerated three of them. Arpaio was pardoned. Each one spent several years and millions of dollars to clear his name. They surrendered to the FBI on Monday. The pair pled not guilty. The judge put them under house arrest. The DOJ rarely prosecutes the offense of failing to register as a foreign agent. That’s not all. Writing in National Review, McCarthy explains how Mueller appears to have charged Manafort twice for the same crime. This prosecutorial abuse likely violates the constitutional protection against “double jeopardy.” He charged him with making a false statement by failing to register and a general false statement. McCarthy questioned the money laundering charge. The money must be the result of unlawful activity to be “laundered.” Manafort could legally receive money for work on behalf of the Ukrainian president. 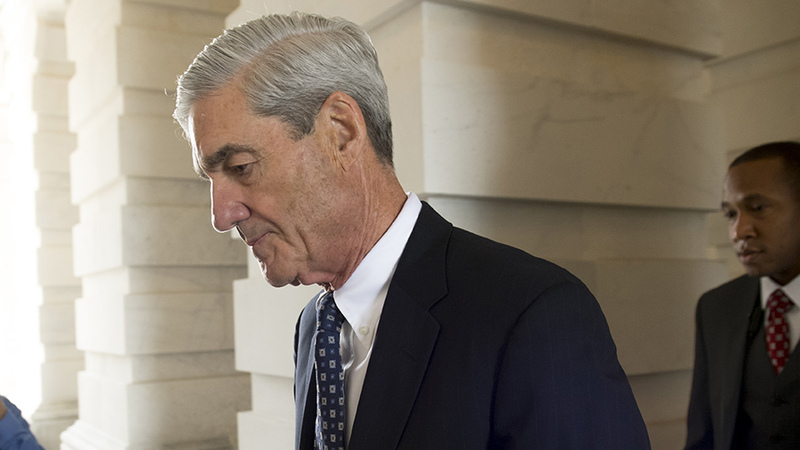 Critics have reason to question Mueller’s motives. He stacked his special counsel with Democratic donors. Key prosecutor Andrew Weissmann not only donated to top Democrats like Barack Obama but has a controversial record. He is famous for the strategy of “flipping lower-level defendants on bigger targets.” He also goes after family members. This doesn’t always work. The Supreme Court overturned his conviction of the accounting firm Arthur Andersen in the Enron case. The legal site LawNewz points out that Mueller’s team may have violated Manafort’s constitutional rights. Agents seized information outside of the scope of the warrant from his home. Attorney-client privilege likely protects some of these documents. In his attempt to tarnish Trump, Mueller may have to take down one of Hillary Clinton’s friends. Tony Podesta, the brother of Clinton’s campaign manager John Podesta, resigned from The Podesta Group Monday. The firm also worked for the European Centre for a Modern Ukraine. This work benefited the same Ukrainian party that Manafort advised. Podesta failed to register as a foreign agent. A piece of advice for all, be very careful talking with law enforcement, anything said can and will be used against you. Get an attorney, plead the 5th, don’t help them entangle you in their web. One misstep and you’re toast. Indictments were coming down the day Mueller was assigned special council, it was just a matter of who and when, not necessarily why. So they’ve got that part out of the way. That they are casting such a wide net, going beyond the scope of the counsel’s intent, and still coming up short does not bode well for them. They are walking a fine line of having it potentially blow up in their face and justifying the notion that it is indeed just a witch hunt, verifying Trump’s assertions. It’s going to look even worse too if they ignore the dossier in this process.